Do you have data in a cloud? No, not a white, fluffy pillow, but on a technological cloud. This term, "cloud," refers to servers that are operated remotely and owned by corporations or individuals. Though clouds can be quite convenient, many ask ourselves, "Is the cloud secure?" For years now, there have been billions of dollars invested by major corporations to store and back up their data in a cloud, and it’s proven to be worth it. When storing data on a computer, it is all kept ‘together in one place. Data on a cloud, however, is spread out across the world, often redundantly. So, what is more secure? A PC that's on your desk or a random cloud server in Miami? The truth is, all data on both a cloud and a PC is vulnerable to theft and damage if not protected. Data based on the cloud is also vulnerable based on where is it stored and through the transmission of the data. 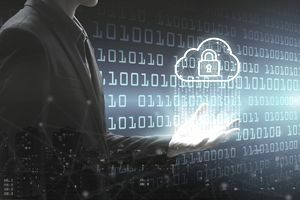 Most service providers that provide clouds do not give a lot of information about how they protect their data, as this could inform hackers about how to get into their networks. Some providers offer a two-factor authentication, which is a good way to protect the data and makes it difficult for hackers to access. With two-factor authentication, there are two different things required to prove identity. For instance, if you have online banking then you must enter your account number, then a password, and upon entering the password you may receive a text message to enter in another one-time password (OTP) to get account access. With your mobile phone in hand, that second factor OTP gets you in. You may have realized that over the past 10 years or so, computers have grown more powerful and faster than ever before. They have larger hard drives, more RAM, and better processors. All of this has been made possible by cheaper and better technology and as a response to developers of software, who are making programs more complex and demanding. The cloud, when it came along, allowed programs of all kinds, as well as data storage, to go virtual, and people understood that they don't necessarily require a local computer with speed or space. This allows a slower PC to find a new life and devices such as mobile phones, tablets, and e-readers do not require as much space, as data can be stored in a cloud. One of the biggest impacts of the cloud has been with multi-streaming media such as music and movies. Since video and songs have become digitized, there have been dramatic changes in the hardware and devices used for the consumption of content, as well as how it is distributed. Furthermore, the cloud encourages the development of ID technology that is designed to authenticate people online and through mobile and card technologies. The advantages to this will eventually lead to more security and ease in our digital lives. The public cloud is a term that describes the traditional way of using cloud computing, where resources are given to the general public on a self-service basis. It is available through the Internet, web services and applications or from third-party, off-site providers. A community cloud is one that shares its infrastructure between several organizations from a specific community. These communities have a common concern, such as compliance or security, and may be managed or hosted internally or externally, or through a third party. With this cloud, the costs are spread over fewer users, so only some of the benefits of using a cloud are available. A hybrid cloud is one that has two or more clouds, either community, private or public, that remain unique parts, yet are bound, which offers the benefits of multiple models. A private cloud is a cloud that is used by only one person or organization. This cloud is either managed by a third-party or internally, and it may be hosted either externally or internally. These clouds have attracted some criticism since users still have to build, buy and manage them, and there are no benefits such as low up-front costs.